2. Because of our proven record on satisfactory homeschooling of a high academic and social level both before the ban and after, and because my family has an excellent working relationship with our local municipality (kommun) which continues to allow us to homeschool, I have not felt any need to campaign on behalf of my own children's rights. Even though we are unable to pursue our own academically recognised curriculum as once we did, we have found a way to work within the system. With some give-and-take from both sides, I believe we have arrived at a compromise that is workable, given the circumstances. Should that, of course, change then I would very much be on the war-path again making a lot of noise both here in Sweden, Scandinavia, the EU and globally. 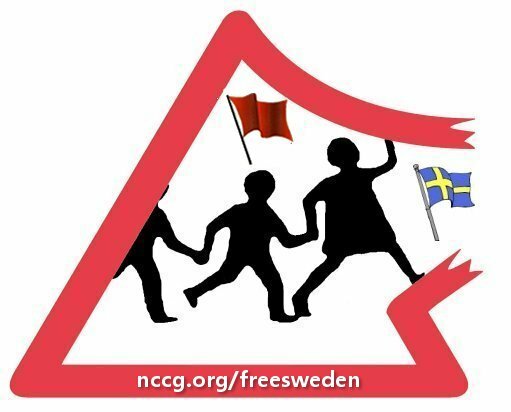 I remain politically active working, however I can, for the rights of families in Scandinavia and elsewhere, particulaly in exposing the abuses of the inept, corrupt, unaccountable and destructive Social Services system which is one of the most family-hostile and abusive in the world. My work in this began with the state kidnapping of homeschooling youngster, Domenic Johansson, who all these years later has still not been returned to his devastated parents, and will continue until abuse of this kind is brought to an end. (The government even took their passports away!) The system will not get away with this ideologically- and graft-motived cruelty. Worse, it is spreading like a cancer throughout the world, demonstrating to my mind that there is not only a common agenda between political parties in Sweden but between nations. The governments of Western nations in particular are trying to impose their diabolical agenda on Second and Third World countries. To alert my readers to this, I feel I must urge you to read the work of the courageous Indian lawyer, Suranya Aiyar, who states our case well in the Sunday Guardian Live article of 21 October 2017, The Threat Posed by Global Child-Rights Conventions. You can also see her important website at www.saveourchildren.in. For those interested in our history, I have completed homeschooling two of three children and have two more years of compulsory education with the third who I am going to call 'X'. 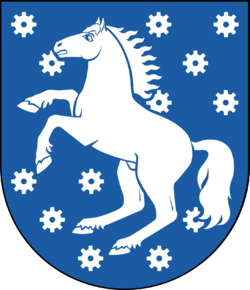 Last year (2016) our local municipality (kommun) introduced a new scheme which has worked very well for us. Instead of being compelled to attend state school classes one or two whole days a month, which I don't feel served X's interests at all, the municipality gave us the alternative of taking advantage of a special needs tutor once a week. We met the teacher, liked him, X liked him, and after a few 1½ hour lessons, decided that this was a positive addition to X's home education program. So far this has worked extremely well. Additionally, we have been given the option of voluntarily chosing any classes that we would like X to attend, with (as you will see), three being recommended. Accordingly X attends two classes once a week which have nicely augmented our own program. Of course, we were never ignorant of the fact that there was a barely concealed municipality strategem behind all of this and as time has passed the state school has tried to press X to attend more and more classes with a view to attending full-time. It's the well-tried 'pizza method' - take a slice more every time. This is something neither we nor X wants, obviously, and it remains to be seen how 'accommodating' the system remains when it fails to gradually morph our family's homeschooling into state schooling by steady increments. The 'whip' (threat) has been, as a letter I received from X's tutor reveals (though it is not, I hasten to add, the tutor making the threats, but the state school authorities themselves), that he won't be graded if he doesn't attend, never mind that he submits all of his written work to the school and takes school tests, providing more than enough material on which to make an assessment. That I can absolutely say as a professional teacher myself familiar with both the traditional exam and the continual assessment systems. I am sharing some of this letter on behalf of all homeschooling families in Sweden so that they can know, even under the present highly restrictive system, with the constant threat of the totalitarian state never too far behind the smiles and pleasantries, that things can be accomplished leaving homeschooling pretty much intact. "Another school year is about to begin and I would like to suggest an increase in X's visits to [the state school]. My suggestion is that X follows his regular class in specific classes. I anticipate your reluctance in this but I will try to make a case for why I think this is necessary. First and foremost, I must emphasize what a pleasure it has been to get to know X during the last school year. He's an incredibly knowledgeable, intelligent and creative young man and it's always a pleasure working with him. His lack of an upbringing in the traditional school system also makes him very interesting to me as a teacher, because there is definitely a difference in behavior when it comes to things like willingness to learn and creative intelligence if I compare X to the average 'normal' student. He's always inquisitive and never afraid of being wrong or saying the wrong things. These are qualities that most other students lack and I think that very fact should bring into question the effects school has on children's creativity and willingness to learn. What I'm trying to say is that I understand fully the reasons one would want to homeschool ones children. Had the option been available to me it is certainly something I would consider myself. Learning-wise I don't see any problems with X's schooling as it is. This is the irony, is it not? Those who see homeschooling at work know that it works. Every state teacher who has had contact with my homeschooled children over the years has remarked positively on it, with one class teacher in Elementary School practically begging me to allow our children to attend her class and so improve it socially and academically. But that isn't how it works, is it? It's the home environment that is the nurturing and catalysing agent of successful education in homeschooling. The teacher knew this, of course (as we had become friends) and was, rather, in despair that anything could be done to improve discipline and the social atmosphere ... one of the main reasons homeschoolers don't like state schools. Which is not to say that state schools cannot be improved, for they absolutely can, but the system will not allow it. Instead, they pump in more money and nothing substantially changes. As the system is rigid and unaccommodating for home educators; there are practical drawbacks when it comes to grading and when it comes to further studies. Sweden does not have exams like [the British] GCSEs or A-levels that can be used to directly apply to further studies. The results of the national tests are simply advisory for the teachers and can not be used to apply to gymnasiet (High School) or university. In other words, the system is specifically designed to prevent anyone from going into the professions or into high education without passing through the system. It's typcially Marxist for in the former Soviet Union you could not get a university degree or get a job without having passed through the school system. The reason for this, dealt with in other articles, is indoctrination - the Marxist state wants everybody to think and act in the same way. They are trying to create a collective where differences of opinion are strictly controlled in a small box with everything outside the box labelled as 'deviant', 'reactionary' or (to use the modern Marxist jargon), 'extremist'. This is the reason why, a few weeks ago, the Swedish government made Pre-school compulsory too. What we are seeing is the recreation of the Soviet Union 'by other means', namely, 'pizza-slice' increments rather than by violent revolution. The oppression and suppression is there, mind you, but centred in the Social Services system which has invented its own language to conceal or justify its totalitarian methods, always allegedly 'in the best interests of the child', of course. There is nothing new, it would seem. We are witnessing the return of communism by stealth, having failed using the more violent methods. But there are still prisons and gulags, only the prison is an open one with everybody believing they are free. The institutions are the new isolation blocks, and the prison sentence is for life - from cradle to grave. Furthermore, there are only 5 national tests. Math, Swedish, English, one random science subject and one random humanities subject. These are, in themselves, not enough for achieving a grade. There are two kinds of upper-secondary schools (Gymnasium) in Sweden. Vocational programs preparing students for a profession. These require a minimum of 8 grades of E or higher (incl Ma, Swe, Eng). University preparatory programs. These require a minimum of 12 grades (incl Ma, Swe, Eng). The minimum amount of grades is usually not enough since you have to compete with your peers for entrance to the schools. Before the new system was introduced in 2016, my children were able to sit (and pass) their National Tests and this was considered adequate. Not any more. I don't know whether you or X have plans for any kind of further education but from what I have seen he has clearly got an aptitude for [......] making the [..A..] program or [...B...] Program seem like viable options. In Arvika these programs are available at [specialised state school] but there are also online correspondence options. By my estimates, should X continue as he has begun, with me advising and informing the teachers of his progress, he will achieve grades somewhere in-between nine to twelve subjects. This will likely be insufficient for [..A..] or [..B..] programs. It is possible to get the grades he lacks when he gets older but as I see it this would be a waste of time for someone as intelligent as X. My suggestion is that X follow his class in specific subjects, I have attached the schedule of his class. In addition to his meetings with me, these are classes that would increase X's chances of getting more grades: [............]. It is up to you and X, of course. We could continue as before but this is what I advise. It doesn't necessarily have to be all of these times. You could pick one. Any time with the teachers of these subjects is better than none. It is not a question of his ability or your teaching in [....] or [....] for example. It is a question of the teachers seeing what he knows and what he's capable of doing. They need more than my assurance to be able to grade him. I realize this could be tough on X who is not used to the school environment ...., but I am sure he could get used to it. Should it not work out we could always revert back to the way it was before. Anyway, you have heard my suggestion and I advise you, your wife and X to think it over. I anticipate receiving suggestions for times for X's visits with me. Should you accept my suggestion, we could have my time with X be positioned adjacent to one of the times he's with his class. Please contact me if you have any questions or suggestions of your own. I visit [your home area] regularly so I could drop by if you would wish to discuss something. A very professional and helpful teacher. We are not quite sure how the future will unfold and will be playing it by ear as we always have done. As I have written before, we will remain in Sweden for as long as it remains possible to accomplish the educational goals we have for our children. For most Swedish homeschoolers, though, exile has been their only alternative. Quite a colony of them has grown up on the Finnish island of Åland with others going further afield to the UK, USA and other countries. Internationally, homeschooling, despite its proven track record, remains under the intense and unrelanting pressure of globalist Marxists bent on trying to create another unrealisable (and always oppressive) Utopia. Sweden was their prototype nation, the program starting in 1944, but like all authoritarian communistic systems, with the current one wearing the clothes of liberalism, it is slowly collapsing under its own weight. How this all plays out, remains to be seen. In the meantime, we shall continue homeschooling (until our job is accomplished) and defending the rights of families.